A mobile spin-off of the beloved town-simulation game developed by Nintendo has just arrived and fans are ecstatic! For those unaware, animal crossing is pretty much a simulation game in which a human player lives in a village inhabited by anthromorphic animals, which carry out the different roles in the community. With that you get tons of activities in the game including decorating your space, Crafting, Bug-catching, Fishing, and what not. And though Animal Crossing: Pocket Camp doesn't seem to be a full-fledge of a game compared to what is typical to the titles in its franchise (as with other popular games taken into the mobile platform for a spin-off), fans would nonetheless feel right at home in this one. Access becomes pretty easy, considering that almost everybody nowadays have smartphones. To boot, the game pretty much fits the new mobile platform, especially that the game is notable for its open-ended gameplay, as well its use of the real time to reflect the different seasons and celebrated holidays in the real-world. Now, fans can easily go Bug-catching on a whim without having to bring gaming consoles. One feature that the series is very well known for is its level of customization, and we're happy to find just as much in this mobile game. Collecting items is still a major activity in the game, and will most likely lead you to progress as well. Here you'll be Crafting specific furniture that would attract different animals. When they do visit your camp, they will give you access to other raw materials in return. A run-down of the items to get, where to get them, and what you could actually do or achieve in collecting them will be listed in this guide. We'll tackle the basics including how to get around the interface, the basics of Crafting, as well as getting the different furniture, reaching for the cap levels of animals (and what it means), Tips and hints, as well as expanding your amenities in the game. 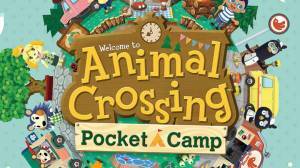 No discussions open for Animal Crossing: Pocket Camp at the moment.